Labour law is a critical function within any organization and a person with a thorough knowledge of Labour law and the workings of the CCMA are an incredibly valuable asset. The course is broken down into eight modules to complete in a nine week duration. Each module goes through different aspects of understanding Labour Law which consist of the following. Labour law course is for trade union officials, shop stewards, small entrepreneurs, and line managers with little or no formal labour law training .the labour law course will give you a sound knowledge of those aspects of employment law that they may encounter on a daily basis in the workplace. Labour law is vital for mediating the relationship between employers as well as government and trade unions. This course will provide a summary of important principles from all the key labour Acts. These you will gain knowledge on how to employ people, how to ensure compliance and what to do when things go wrong. You will learn what to extract from sometimes complex legislation in order to suit your needs, and how to protect yourself from both the employer and the employee perspective. The purpose of studying a short course labour law is to have a well-rounded and systematic knowledge, skills and competencies to analyse and solve legal problems relating to labour law in general. 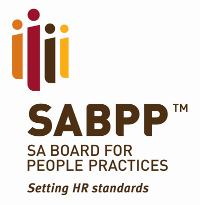 The module provides an understanding of South African Labour Law principles relating to the contract of employment, Basic Conditions of Employment Act, the Employment Equity Act, unfair labour practices, the law of dismissal, collective labour law and industrial action. Aspects of transformative constitutionalism are also addressed. The module is appropriate for students who wish to pursue a career in law and other professions such as legal practitioners, para-legals, arbitrators, mediators, consultants, legal advisors, trade unionists and academics para . Students accredited with this module will be able to contribute towards the broader leadership base of innovative and knowledge-based economic and scholarly activity which is responsive to the needs of a just society based on constitutional democracy.